Click on the titles below to discover more. Leonardo da Vinci is renowned as a painter and draughtsman of the High Renaissance and two of his works, the Mona Lisa and the Last Supper are amongst the most famous paintings of all time. But he was an artist whose works were informed by scientific investigation; he was an engineer, designer, and anatomist. He observed the world closely, describing nature as his teacher, studying anatomy and physiology in order to create convincing images of the human form. This lecture tells the story of 20th century fashion design, tracing how clothes, textiles and accessories were influenced by contemporary history. It includes the elegant fashions of the Edwardian era, the glamour of the 1920s and 1930s, the austerity of the 1940s, the futuristic fashions of the 1950s, the liberating styles of the 1960s and the avant-garde fashions of the 1970s to the present day. Hampton Court is best known as the main surviving palace of Henry VIII. But how much of Hampton Court did he really create? The king had lost the principal medieval royal seat of Westminster to a fire in 1512, and in 1528 he adopted Cardinal Wolsey’s Hampton Court, which had been planned anew in 1515. Ancient Greece was sophisticated and primitive at the same time. Philosophy and myth ran side by side. Men who thought rationally about their world also believed it to be populated by a pantheon of spirits and deities. This lecture will explore how the myths of gods and heroes dominated Greek art and what we can learn from these images about ancient Greek society, its values and its fears. For many people, Kashmir conjures up a beautiful valley surrounded by the snow-capped peaks of the Himalayas, for others it is a land of conflict. But what is less well known is that it has been of historic artistic importance for nearly 2000 years. This lecture introduces the astonishing diversity of arts and crafts produced in this tiny area, influenced by Buddhist, Hindu and Islamic cultures. There are many illustrious gardens on the shores of Lakes Como and Maggiore in the mountainous far north of Italy. The ones described in this lecture include the Villa Cicogna Mozzoni, with its 16th-century parterre and water staircase; Isola Bella, a baroque extravaganza on an island in the middle of an alpine lake; Villa Melzi and Villa Carlotta, two lakeshore gardens made by rival Napoleonic grandees. 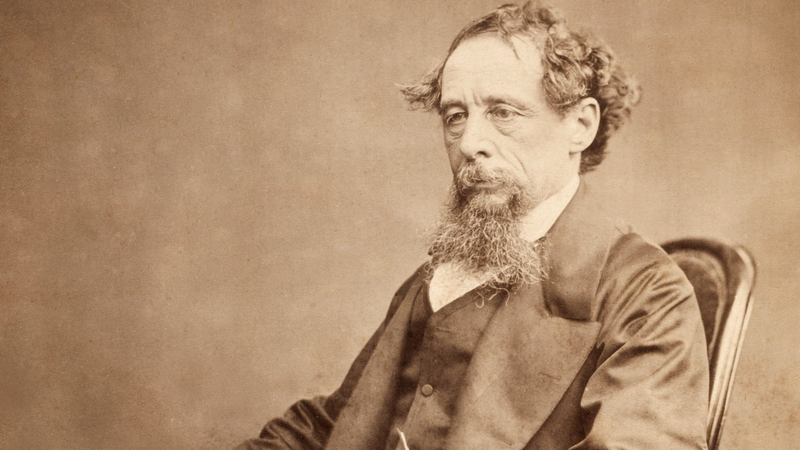 Charles John Huffam Dickens, regarded by many as the greatest novelist of the Victorian era, was born in 1812. Largely self educated, he was recognised even in his own time as something of a literary genius, with 15 major novels to his name as well as countless short stories and articles. Immortalised in Cole Porter's lyrics 'You're the Top! You're a Waldorf salad', the Waldorf-Astoria New York was a glamorous home to international celebrities in the 1930s. But it had an equally iconic predecessor. Built by the Astors in the 1890s at the height of the Gilded Age, for high society clientele and visiting royalty.